Dharma Merchant Services is a different type of merchant services and payment gateway provider. They have a socially responsible outlook on business and it shows in the way they conduct themselves. Additionally, besides being a socially responsible merchant account service, they also offer fair and cost effective pricing to help their merchant partners remain competitive. The socially responsible component of this merchant account provider rests on two core values. First of all, they are a certified green business. Even though they do not manufacture a product, they still make a positive impact on the environment by making conscious choices in the operations. Whenever possible, they choose local, sustainable, socially-responsible, women or minority-owned vendors and suppliers. The second core value is a commitment to giving back to the communities in which they operate by donating 50 percent of their net profits. In fact, the very name of the company “Dharma” reflects this philosophy. Dharma means “right intention, right action”. Donations come from five categories and the charities which are donated to change each year. In addition to making their own donations, they serve non-profits in several unique ways. Non-profits who use their services are promoted on their website. 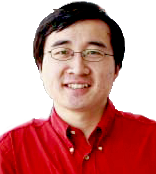 They are also offered discounted pricing so that more of their funds can go towards their cause rather than the payment of overhead expenses. Finally, they participate in the local communities by offering their time and financial resources to make a difference. 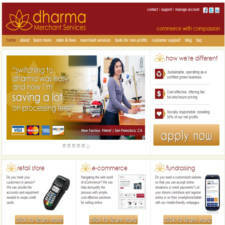 While Dharma Merchant Services is U.S. based, they offer merchant services to businesses in both the U.S. and Canada. They are proud to be a merchant account provider who also remains true to their core values of sustainability and social responsibility.